Barca superstar, Lionel Messi, has spoken for the first time on the transfer of his arch-rival and former Real Madrid striker, Cristiano Ronaldo, who left for Juventus in the summer. Barcelona forward, Lionel Messi could open a museum with the number of trophies he has won in his career to this point, including five Ballon d'Ors and five Golden Boots, but to him, family is more important than all of that. While speaking exclusively to MARCA, the Argentine star discussed family, Cristiano Ronaldo and finishing fifth in the Ballon d'Or voting this year. On his outlook on life; "I love football, but family is above everything," Messi said. Messi and Ronaldo who have five Ballon d'Or awards each battled for supremacy in the La Liga for years. But Messi believes that his rivalry with Cristiano Ronaldo in Spain was "healthy" and was good for fans. 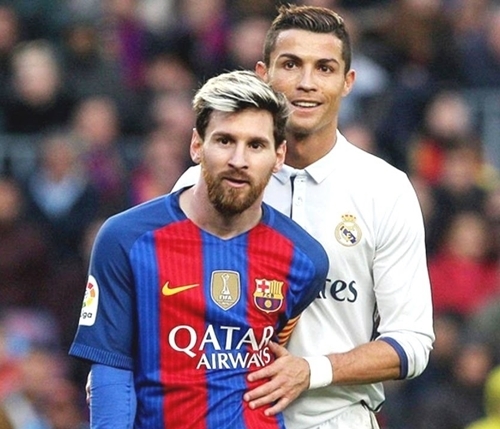 On the competition with Ronaldo, his Portuguese rival, Messi said; "The rivalry with Cristiano was very healthy and very beautiful for the spectators." During Ronaldo's time with the Real Madrid, he won La Liga twice and lifted the Champions League four times. While Messi has won nine La Liga titles and has also lifted the Champions League four times. On finishing fifth, with Luka Modric winning the Ballon d'Or award, he said; "I heard the nominees for the Ballon d'Or and I knew I would not be in the fight."